Jypyä Pop (Turku, Finland) on 6 March 2017 in Lifestyle & Culture and Portfolio. Great scene, are those people walking on water? @Brockaly: Ice walkers are fishermen who have tried their luck in hole in. A while not seen in the Netherlands !! @Marjolein: It is nice looking hobby. OHH A beautiful day !! What a beautiful shot. Summer is coming...isn't it? Beautiful composition of the scene ! Those things fly across the ice. An interesting shot for sure. How lovely to see a winter scene with everyone enjoying it! 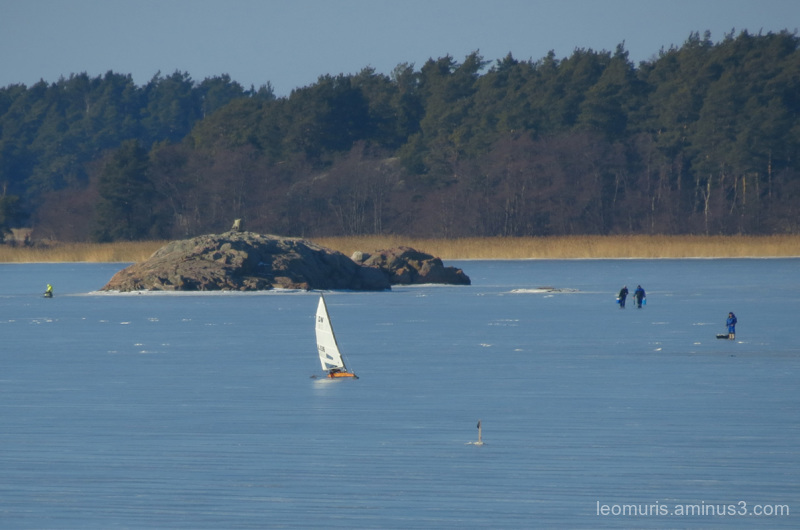 An interesting concept of ice sailing!! Never knew it existed until now. I was wondering how those people could be walking on water!! A very tranquil place to be. It seems the men are walking on the water. @fateme@@: Maybe. There is durable ice, which can, for example, to move and to fish.